If you or a loved one has been charged with assault in Charles County, you will need the help of an experienced criminal defense attorney. A lawyer who specializes in criminal law can provide legal advice, and can represent you in court and defend you against assault charges. 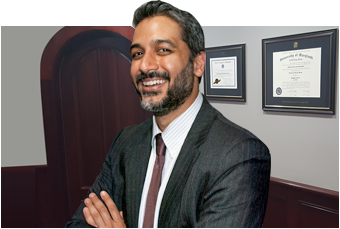 Before you begin searching for a criminal lawyer, take some time to understand the different assault charges that you can be charged with. You can be charged with assault even if you only threaten to injure someone and don’t follow through with it. If a person commits an intentional act that is meant to make another person feel that he is likely to suffer from physical harm, the aggressor can still be charged with assault, regardless of whether the assault was actually committed. The state determines whether to charge someone with simple assault or aggravated assault depending upon the severity of harm that occurred, or that could have occurred if the person charged actually followed through on his threat. The state will charge someone with simple assault if he attempted or committed assault without a weapon, regardless of whether or not the victim suffered from any injuries. You can also be charged with simple assault if the assault without a weapon resulted in minor injuries such as bruises, black eyes, cuts, scratches, or swelling; or if the victim required less than two days of hospitalization. Aggravated assault is a felony, and the state will charge someone with aggravated assault if he committed or threatened to commit assault that did or would cause serious injury, or if he committed or threatened to commit assault with a weapon. The court and state consider serious injury to be broken bones, lost teeth, loss of consciousness, internal injuries, and any other injury that requires two or more days of hospitalization. Assault or attempted assault with a weapon includes the use of a gun, knife, or any other instrument that could be construed by a reasonable person to be harmful or deadly.